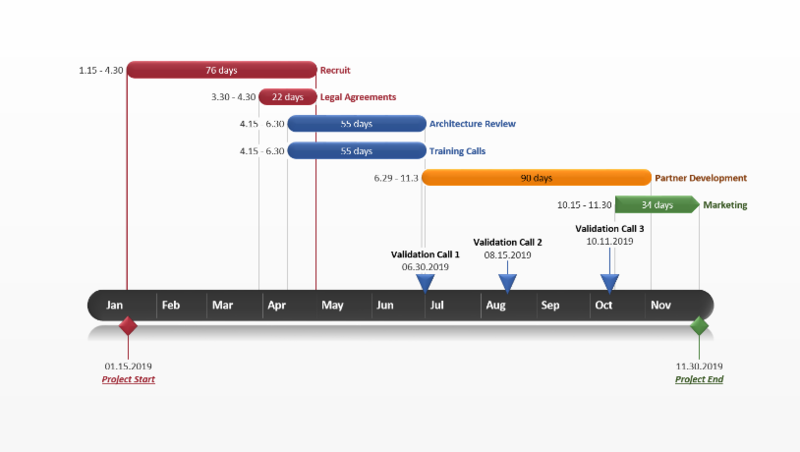 The PERT chart template was created to help you plan all of the tasks needed to successfully deliver a project. The PERT template can be used in the planning or preparation phase of any project or it can be used for project reporting. 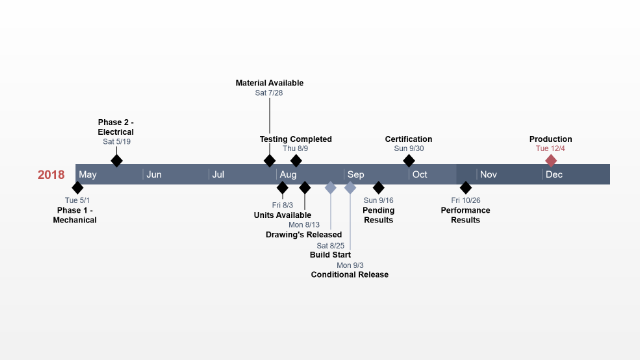 The PERT methodology, or the Program Evaluation Review Technique, was developed to identify the minimum amount of time needed to complete a project by factoring in uncertainty. 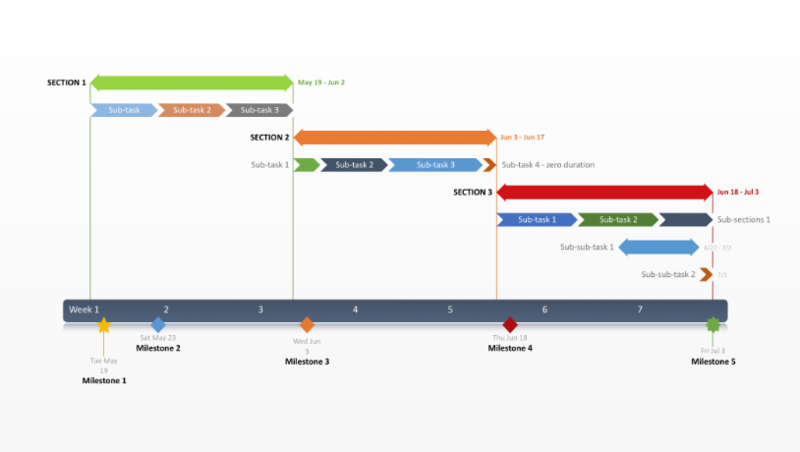 It was created for planning the task sequence, commonly known as the critical path, which must be delivered in order to complete very large and complicated projects on time. As a result, traditional PERT charts are complex and detail oriented visuals that require time and knowledge to understand. This PERT template was designed differently from the PERT charts created by critical path analysis tools. It was created to help clients, executives and other project stakeholders understand which tasks must be completed before others can begin. PERT chart tools produce diagrams that are complex, difficult to understand and far too complicated to include in executive communications. This PERT template is a resource for presenting project schedules to non-project audiences in a way that they can understand quickly. The PERT template was created in PowerPoint so it can be easily edited by a project manager or by project teams. PowerPoint is familiar to audiences who are not accustomed to viewing PERT charts or are not comfortable using critical path analysis and project management tools. 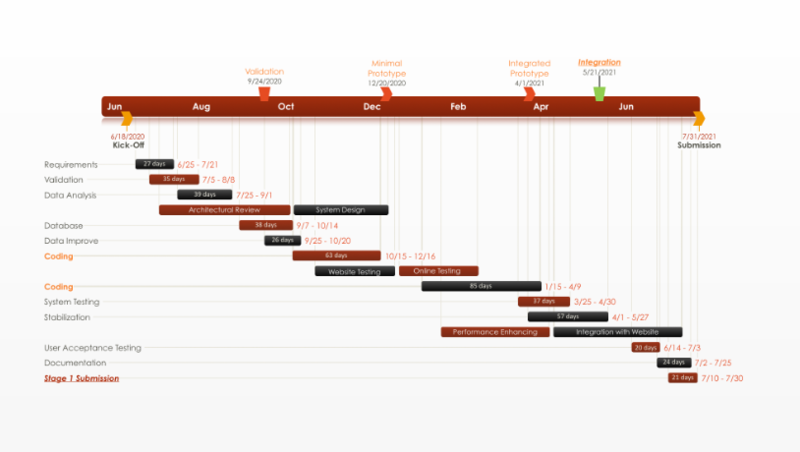 The PERT template can also be automatically updated using the Office Timeline plug-in for PowerPoint. The plug-in will update the PERT template with your schedule and keep it updated by instantly making any changes as they happen. 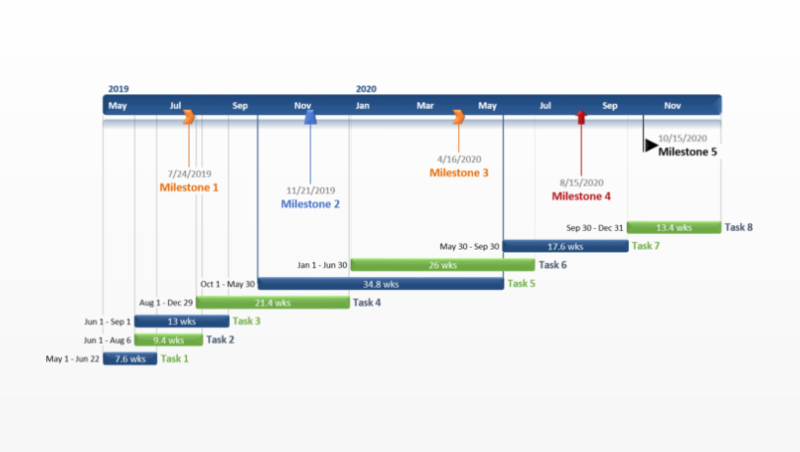 Office Timeline Plus edition is integrated with Microsoft Project, Excel and other project tools so an existing project schedule can easily be transformed into a beautiful PowerPoint chart.